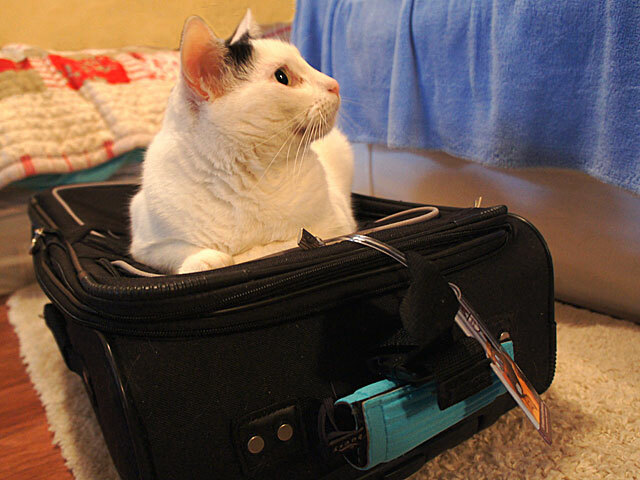 This entry was posted in Pets, Wordless Wednesday and tagged cats, Daughter, Kitties, Minnesota, pets, Suitcase, Texas, Travel, Wordless Wednesday. Bookmark the permalink. …I’ll give him a pass on the dog thing because he love us kitties so much. Yes Minneapolis is great! She has been there two years for school and loves the university there (Scandinavian studies)! We have had her kitties since February and she came here in mid-June for an extended summer stay. 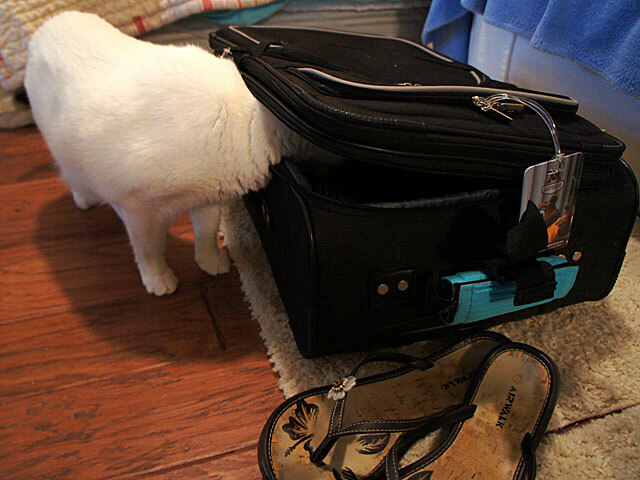 It was just so hard to see them all leave this morning. The only bad thing about Minneapolis is that it’s too far from Texas!! MY toys are back in Minnesota in a storage unit…somewhere. They will be found! Oh, I bet you will miss them so much! Pictures will help. Thanks for visiting us! Happy to visit! And yes, I miss them so much already. You are right, though, pictures do help! Yes, comparatively quite to what it was, that’s for sure. Thanks for the kind wishes. My daughter made it to her destination this afternoon, everyone safe and sound! You mean your house is currently without cats?? OMC! You need to adopt at least one from your nearest rescue. Best of luck to your daughter and the cats. Oh no, never without cats!!! I would not know what to do. I still have my kitties Lucy, Tyler, Peyton, and Miss Big Kitty. And of course my cairn terrier Gracie, lost in a sea of cats, lol. You can check out all my pet bios on my site here! They are quite a group. I’ve gone from 7 cats in the household to 4! I don’t think I could let go of any cat I’ve taken care of long-term. My Abbi is my failed foster, so she’s living proof. How lucky those babies are to have such neat adventures. Maybe they’ll get to meet the Glogirly gang! I have no doubt my daughter would have something in common with Glogirly since they both love kitties! Two of my daughter’s kitties were adopted 10 years ago from the Austin Humane Society (brother & sister Mr. Moo and Caska), and Binx (the kitty in the photos above) showed up on her 2nd floor apartment doorstep on Halloween night in 2009, screaming his little lungs out! So he is appropriately named Binx after the Halloween kitty in the Hocus Pocus movie, even though he’s mostly white!! Aw! I hope they enjoy their new home. I’m sure it will be kind of sad without them around. My daughters aren’t old enough for that yet. 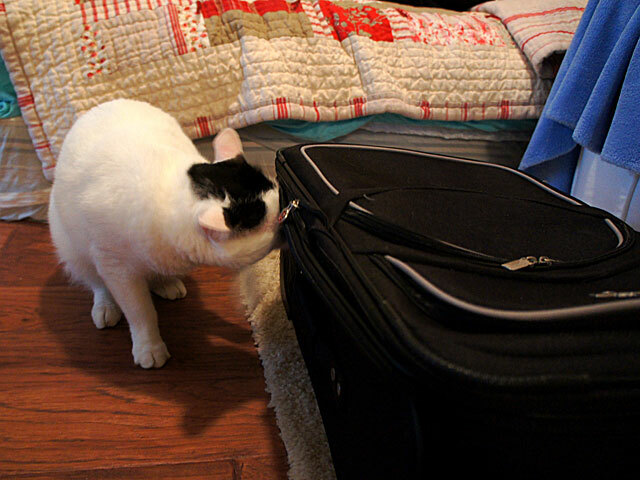 Although, when my brother moved out a few years ago he didn’t take his cat with him. His girlfriend was allergic… and she didn’t like cats… who doesn’t like cats anyways! Glad to say she’s an ex-gf now… I took care of her until we put her down almost a year ago. Oh, thanks Ann for the nice thoughts. Too bad about the ex-gf kitty. I’m with you who doesn’t like cats!! I hope to see you this weekend at the Austin Pet Expo!